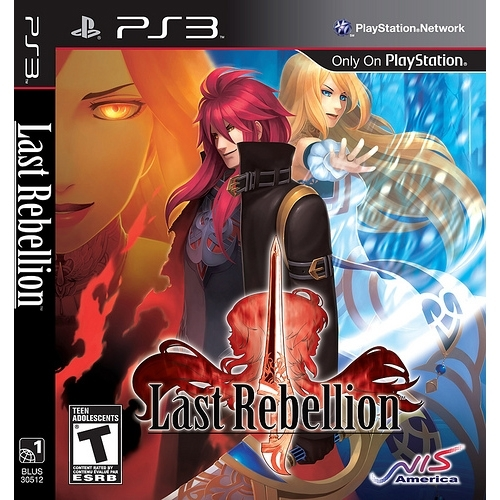 Last Rebellion for PS3... There are 2 main characters in Last Rebellion, Nine (male) and Aisha (female). Nine is a Blade, whose specialty is physical attacks, and Aisha is a Sealer, who uses magic spells to attack and seal enemies. You can switch back and forth between the two during the battle. Since Nine and Aisha share a single, you must strategically choose which character to execute your attacks first. Because of this, Last Rebellion is no ordinary RPG with another mindless battle system. You must be aware of which enemies you are fighting against, and use your experience and strategy throughout the game.